RPG’s have always been a staple of video games so it’s no surprise that all companies at some point try their hand at one with varying results. We all know the big names; Mass effect, Fallout, the Elder Scrolls, the Witch, Fable, etc. What we might miss though are some of the smaller titles that don’t receive the same fanfare. A lot of the time there is a good reason we overlook these titles but I think it never hurts to go back a few years and see what’s there. 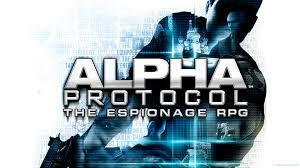 The two games I’ll bring up are semi-linear RPG’s both published by Sega, Alpha Protocol and Binary Domain. Both games were, I felt, unique in what they brought to the table. 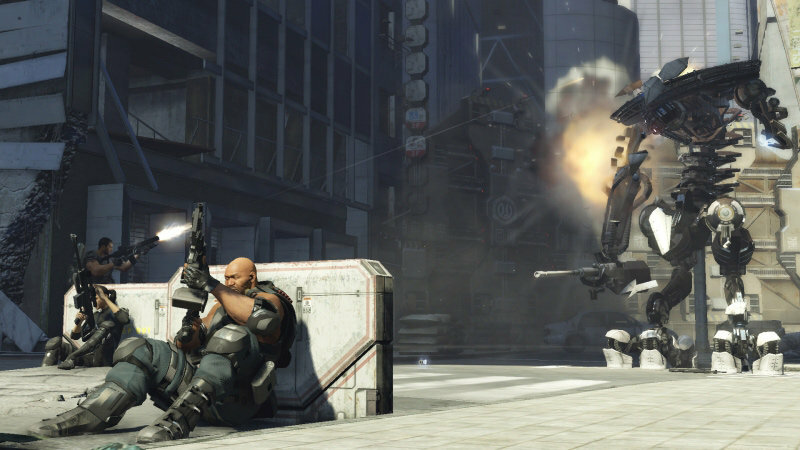 First I’ll talk about Binary Domain. 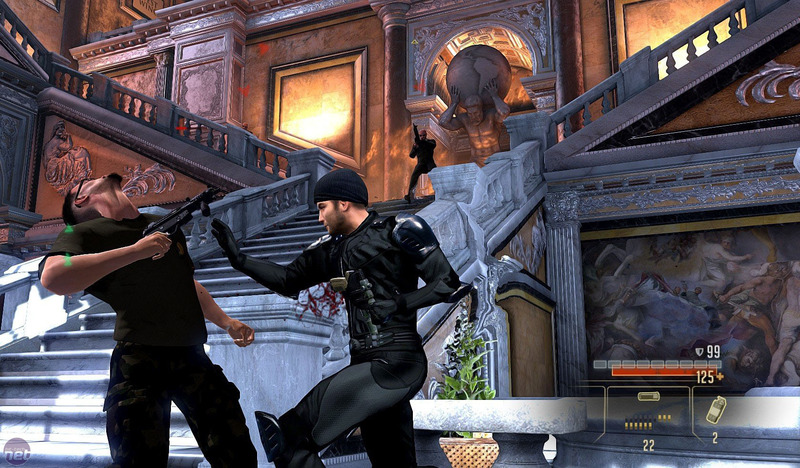 Released in 2012, this game was marketed heavily on its distinctive squad interaction mechanics. During combat you were able to speak keywords into your microphone to your squad and based on your reputation with them from other interactions, they could either accept or reject these commands. While cool in concept, it was, unfortunately, a flawed system. The voice recognition system was pretty poor and it ended up being easier to just disable that function and use a button to issue commands. Aside from that the game was a ton of fun. The gunplay was great and each weapon really felt powerful that combined incredibly well with the damage system. You were able to blow away parts of their bodies or armor, and watching it happen provided me with a huge sense of immersion that I honestly haven’t gotten from a game since. Being able to see the damage you’ve done to something in other than a health bar was easily my favorite part of this game. The various well designed enemies you would encounter along with some really great boss fights were just icing on the cake. The story itself was very reminiscent of the movie Vexille and had a bit of a philosophical flair to it. It’s a great premise and was well executed, but anyone with a sense of storytelling won’t be too surprised by the twists and turns. One really cool feature was the squad trust meters, based on how you interacted with them during the story you could gain or lose squad trust which could come into play at very critical moments in the game. Also worth mentioning is that the voice acting was well done, particularly your robot squad mate with a French accent. Listening to the banter between them and you was amusing to say the least. Ultimately, if you like third person shooters with some RPG elements and great combat then I would highly recommend this game. One qualm I had was the fairly vague dialogue wheel which could mostly be broken down into suave, sassy, threatening, or civil and could lead to some confusion as to what you would actually say in conversations. This was kind of compounded by how other characters would react to how you spoke to them. There was a reputation system which would routinely change the story for better or worse based on the level of respect characters had for you. High levels might trigger new events or effect the availability of Intel and weapons while low levels might push you into a battle to the death with them. The only way to really know which response would do what was trial and error or looking up guides. Additionally certain missions were time sensitive so you could miss out on a substantial amount of story if you weren’t careful. This is almost par for the course with RPG’s though, there are just so many routes to take that you can’t possibly do everything in one play through and the game would definitely suffer if you could. Again, if third person shooters (punchers?) 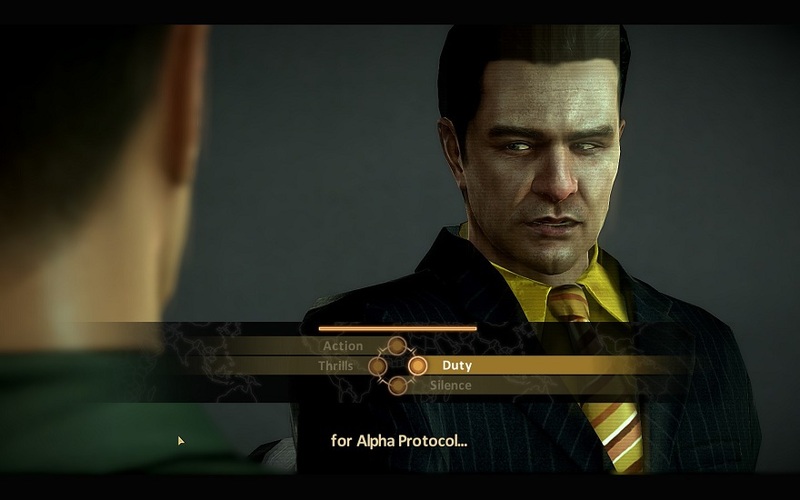 are your thing or you like the idea of a spy-themed RPG then I heartily recommend Alpha Protocol. Now I am far from the first person to talk about these games, over the years since they came out more than a few people have taken a look at what these games had to offer. These became very popular after their release and I think a large part of it came from word of mouth. Not every game can be the GOTY that creators dream of and some fall through the cracks before they ever take off but we have the benefit of living in the age of Steam sales and digital libraries so if it does tickle your fancy then you too could play these games within mere minutes. My hope is that maybe, just maybe, enough people will get to play and enjoy the great games that they might have missed. Enough that the decision makers on high might decide some things are worth revisiting. these look quite cool. I’m more of a strategy and simulation buff myself (civ v is my personal weakness) but I’ve started getting into fps games on the console recently. I think that’s more my son’s influence than anything else though! 🙂 I’ll have to give these a shot sometime – do you know if they’re available on Steam? Yup, both are available on Steam and go on sale quite often. Also if you are a fan of Civ V then I’d highly recommend you take a look at Endless Legend which is a great title as well. yeah definitely going to check that one out as I’ve only heard positive feedback about it.